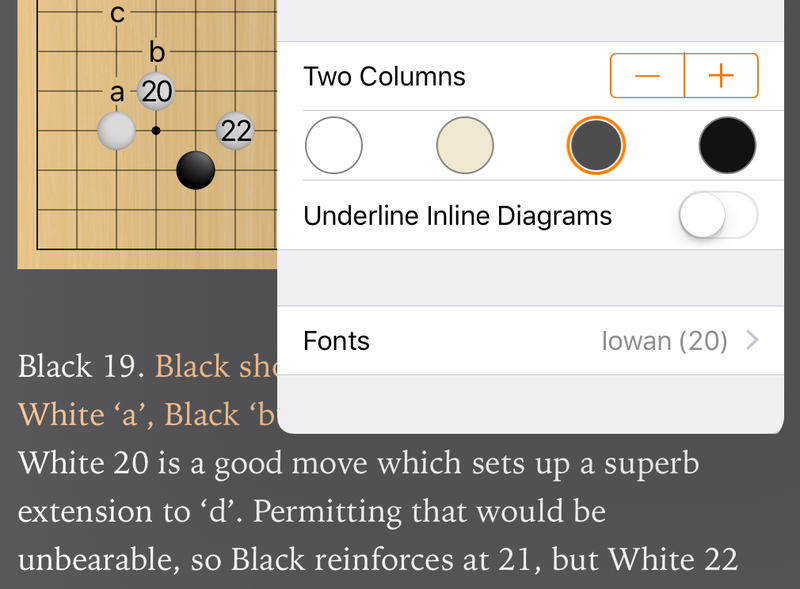 Go Books on iOS now includes dark gray and black backgrounds for better reading at night. That was not a feature I saw a need for myself, but I started getting a number of requests for this, and it’s clearly a significant issue for many. Whenever you want to read Go books, I want to encourage that, whether it’s day or night. Please let me know how this new night mode works for you. So far, I have not changed the diagrams — do you also need the board to be darker?